We’re 100% sure you’ve seen dozens of positive reviews about Winslips.com. Unfortunately, some questionable people LOVE to post fake negative reviews as well. 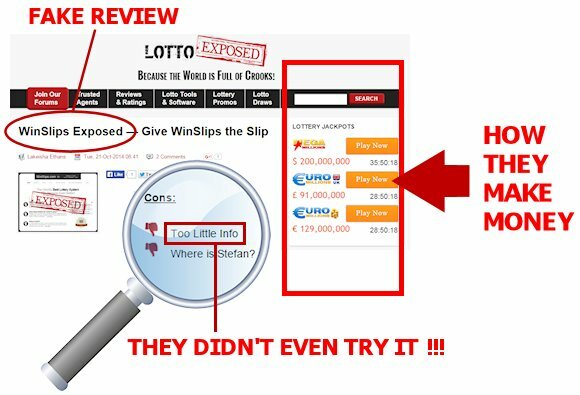 These scammers know that Winslips is a GREAT and INGENIOUS lotto program. They also know that, by word of mouth, thousands of other folks have great interest in Winslips too. These cheaters park FAKE negative reviews on the first page of Google’s search engine results. … but to SELL you their products and services! When we browse his sneaky website, what we see is that he makes BIG BUCKS by tricking his visitors into buying lotto tickets from a very questionable online ticket broker. Of course, for each ticket sold through his lousy website, he gets a FAT affiliate commission, and that’s really the ONLY reason why he is attempting to steal our traffic and visitors! Wanna see Nick Silver’s team of “honest” reviewers? Honestly, are these the reviewers you wanna trust? 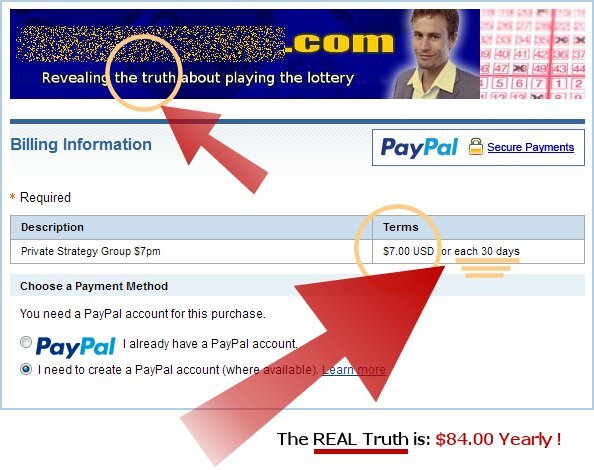 These cheaters are just out there to steal our website visitors, and they know it. Here’s another ANONYMOUS scam artist who calls himself the Lottery Guy. He uses similar tactics to capture lottery related traffic, including the search term “Winslips”. He then tries to convince his audience to buy his own product (solid evidence below). Amazingly, he “reviews” Winslips as “lots of pointless analysis of past history results”. How can he possibly say that? If he would spend just 5 minutes on Winslips, he would INSTANTLY see that Winslips is a fail-safe number reduction system based on PURE mathematics, certainly NOT a pointless prediction website based on past history results. It just proves that this guy’s opinion is totally unfounded, absolutely not credible, and completely ridiculous. Honestly, the infamous and highly anonymous “Lottery Guy” simply captures lottery related search terms to up-sell his own product. $84.00 each year for his “monthly tips” and a “secret sauce” he will only reveal once you’re inside (yeah, right). Have a quick look at the screenshot below. WE ARE SICK OF THESE TACTICS! Winslips is the ONLY budget-friendly lottery system out there that WORKS to your advantage and the “competition” knows that too. Our tool is just PERFECT to squeeze the best possible chance out of a limited budget. No, we can’t guarantee you to win a prize if you play just 1 combination. But we do guarantee you a BEST chance your dollar can buy, even if you play just one 1 combination!